quinta victoria consecutiva para Art Sherman de 77 años, el entrenador mas veterano en ganar la carrera. 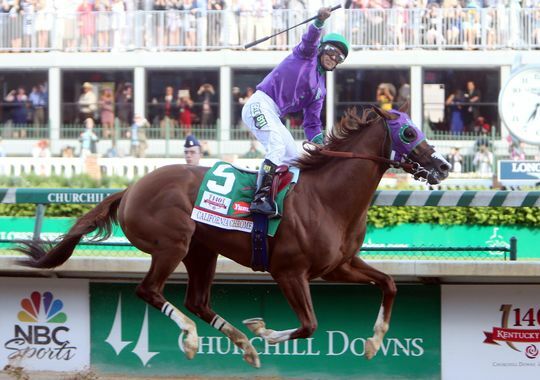 Favorite California Chrome easily won Saturday’s Kentucky Derby. Commanding Curve was second and Danza third. It was his fifth consecutive win and 77-year-old Art Sherman become the oldest trainer to win the Derby. 8 caballos Britanicos positivos de Morfina….